SATURDAY MORNINGS FOREVER: OCTOBER IS HALLOWEEN MONTH ON SMF! Greetings, boils and ghouls! It's October, and that means it's time for ghosts, goblins, candy and costumes! All this month on Saturday Mornings Forever we'll be looking at Halloween-themed programs. 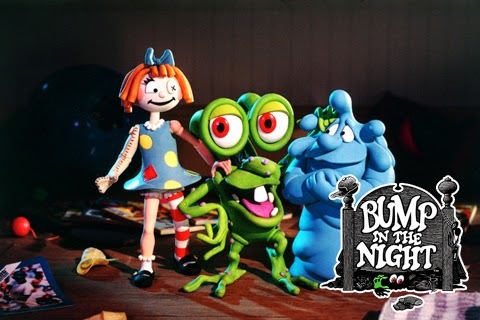 Coming up is the Scooby-Doo-inspired mystery program FANGFACE, followed by the claymation sensation BUMP IN THE NIGHT. 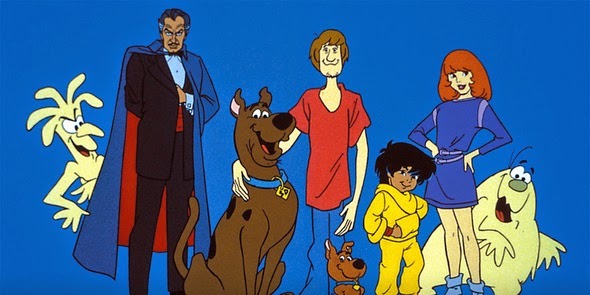 Speaking of Scooby-Doo, we'll be jumping ahead a bit in the Scooby chronology to THE 13 GHOSTS OF SCOOBY-DOO, the first show in the franchise to feature real ghosts. But then it's off to a different kind of terror as we enter the world of GRAVESDALE HIGH. School is scary enough, but throw in monsters? Downright chilling. They're creepy, they're kooky--they're the ADDAMS FAMILY and we'll be looking at the first family of the macabre's very first animated series. Moving in next door will be that undead host with the most the Cryptkeeper as he brings you his TALES FROM THE CRYPTKEEPER. Finally, we've saved the best for last. As part of their 30th anniversary celebration we're bringing you the one, the only, THE REAL GHOSTBUSTERS. We wrap up our Halloween celebrations with a look at the GENERAL MILLS MONSTER CEREALS, part of a creepy breakfast. That's all coming up this month on Saturday Mornings Forever! Be there!